Welcome to Salted Flats Fly Fishing – your #1 inshore fly fishing guide service based out of Apalachicola, FL and New Orleans, LA. Salted Flats Fly Fishing spends the fall and winter months of September through March guiding the Biloxi Marsh just 45 minutes from Bourbon St. and downtown New Orleans. 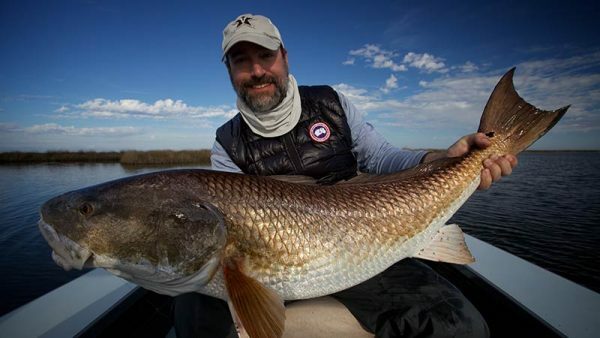 Our Louisiana Fly Fishing Charter Service targets redfish in excess of 30 pounds. From the Fall through Spring the Louisiana Marsh is home to the biggest Redfish you will find anywhere on the planet. During these months the marsh becomes crystal clear as the water cools. The big Redfish stand out like a sore thumb this time of year which is why Louisiana is such a great sight fishing destination. Come join Salted Flats Fly Fishing for unforgettable days in this vast place where you will get away from it all and rarely see another skiff all day. Then retire to New Orleans for some culture and as everybody knows some of the best food on the planet. 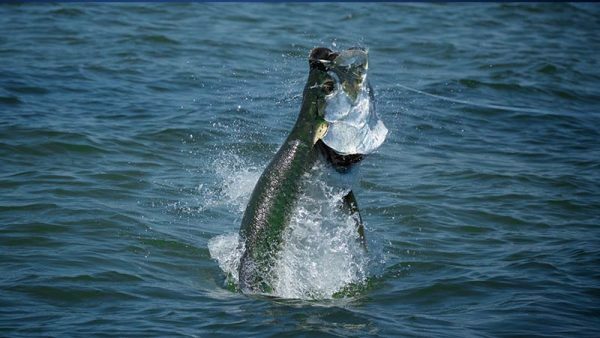 From April through the end of September Salted Flats Fly Fishing relocates to the Panhandle of Florida’s Forgotten Coast to Fly Fish for 100 + pound Tarpon. These prehistoric gladiators have been making an annual migration around the Gulf of Mexico for millions of years. I guide my Angler’s in quiet place’s off the beaten path where the big mature Tarpon flow through in large numbers during the spring and summer months. If you have never experienced first hand sighting, making the cast, feeding, then jumping one of these fish then this is an experience worth looking into. Tarpon are widely considered to be the apex of inshore sport fishing, especially on the fly rod. If you have experienced the aerobatics and sheer power of the Silver King then you know how exciting these beautiful fish are and I can promise where we fish is second to none for big fish, and lot’s of them. Salted Flats Fly Fishing caters to the beginner fly fisherman all the way to the most experienced anglers. Our mission is to provide our clients of any skill level with a day on the water stocked full of lasting memories and lifetime friendships leaving them craving more bow time.